Meaning of illustration "The Princess Frog"
Somewhere, in a kingdom, there lived a king and a queen, and they had three sons: beautiful and strong as falcons... Ukrainian folk tales and stories are the magnificent heritage of Ukrainian culture. They taught us morals and introduced the world to us. 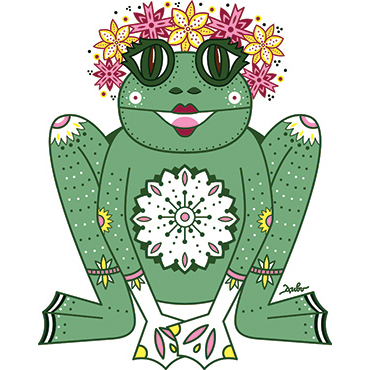 The Princess frog is one of the most famous heroines of Ukrainian tales. She is known for her magical power and her true and faithful love. 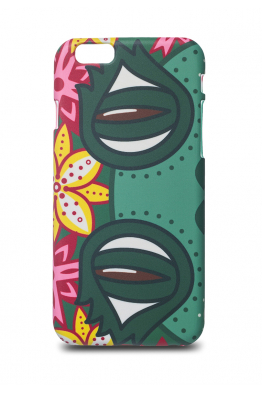 Frog is a strong symbol in Ukrainian mythology. In many tales the frog appears as the embodiment of brownies that protect home and family. They like to be cared for and they thank for it by bringing happiness to the house. Often the frog (because of its unusual lifestyle) was connected with the ideas of resurrection and rebirth, and acted as the guardian of treasures. With such a beautiful princess coming into your life, new colors and magical events will come as well. 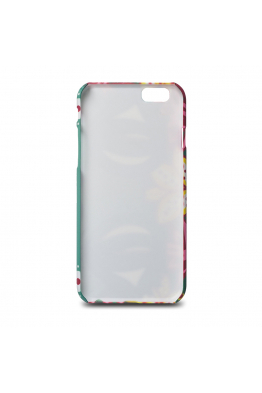 Our princess is there for you to help and advise, she will give you sincere love and dedication. Your image will be light and delicate thanks to the beautiful princess, her wonderful flowers in a wreath and the patterns on the tummy and legs. 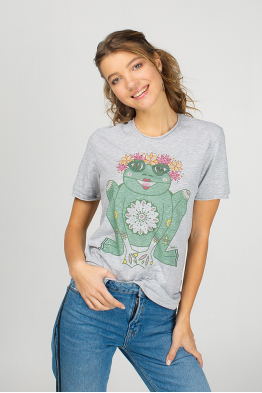 Grey Women’s T-Shirt "The Princess Frog"
The size on the model is S.100% cotton.Digital printing.Care instructions: hand wash cycle at 30°, i..
Women’s T-Shirt "Dyvooo-Eyes. The Princess Frog"
Women’s T-Shirt "Dyvooo-Eyes. The Princess Frog"You surely are nice already. 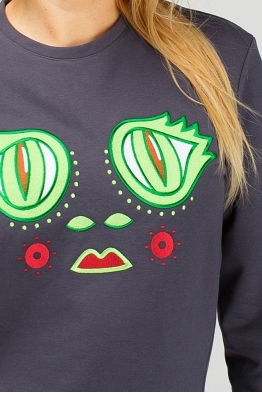 But if you wear our Pri..
Women's Sweatshirt "Dyvooo-Eyes. 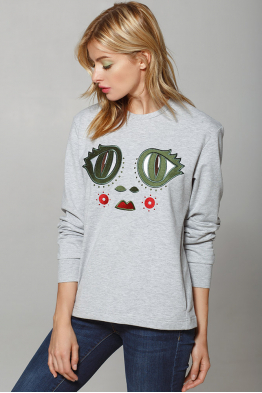 The Princess Frog"
These eyes did not leave anyone indifferent, so now they are featured also on our new sweatshirts - ..
Women’s T-Shirt "The Princess Frog"
For stylish and colorful personalities here is our new comfortable and trendy T-shirt. People from w..